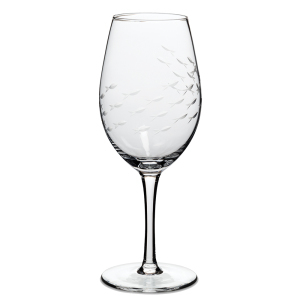 This beautiful glassware with a school of swirling fish is a perfect reminder of time spent on the water. Each fish is hand-cut into the glass for a truly artisan touch. Set includes four 9 inch high, 22oz Goblets. Dishwasher Safe.